It is commonplace to speak of cats and dogs as if they were eternal enemies. Many dogs cannot help chasing a cat that is running, and when there is no predation, the two species often fail to understand each other well. When dogs indicate maximum submission, cats may understand maximum defence. So it is impossible for them to learn to live in harmony? “They fight like cats and dogs” or “they get along like cats and dogs” are expressions that are used to highlight that two individuals do not get along well with each other. The conflict between these two species is a real cliché that is based on several biological reasons. To start, cats have the ideal size for dogs to recognise as prey and chase if they see them running. 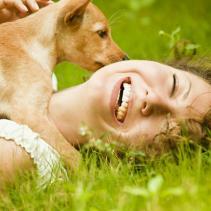 However, cats and dogs can manage to live under the same roof without predation problems. Similarly, in this situation, they often have trouble understanding each other, and this can make interaction between them difficult. Both species communicate through visual (such as posture), olfactory (such as urine marking) and acoustic signals (such as barking and meowing). In part, communication signals emitted are clear, since they are based on a shared universal code between the different species, in which large sizes and bass sounds have a threatening effect. With the exception of these signals, there are others that belong to the respective communication of each species, which may be more difficult to interpret correctly. A dog lying down with its belly up is showing submission and an attempt to reduce conflict with the other individual, or it is asking for social interaction and pats on the belly. In contrast, a cat can expose its abdomen as a sign of invitation to play during the mating ritual or as defence with the claws of its four paws in case of receiving a very intense threat. 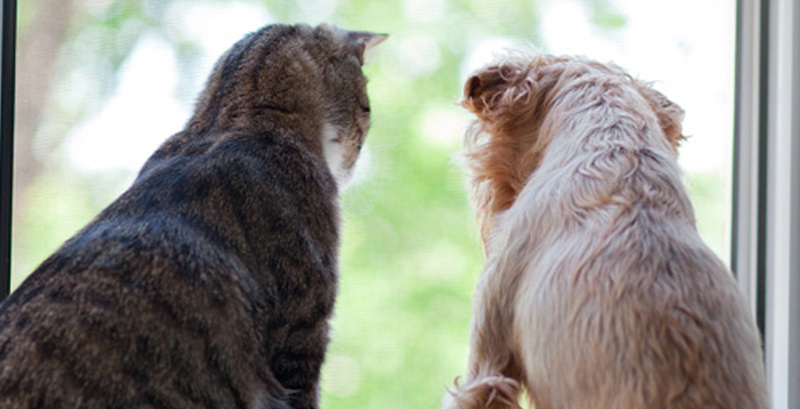 Despite these basic differences, cats and dogs can learn to understand the meaning of each other's communication signals and come to live in harmony. To achieve this, they should ideally live together from an early age. This way we can increase the likelihood of these animals developing a good relationship, and we save ourselves the training required for them to accept each other in case of introducing them when they are adults. So¿, why not change the meaning of getting along “like cats and dogs”?